The curtain is raised on the biggest and best TRANSFORMERS game in history! See never-before-revealed art from the genre-smashing TRANSFORMERS: FALL OF CYBERTRON! Watch as OPTIMUS PRIME, GRIMLOCK, BUMBLEBEE, and SHOCKWAVE grow from conceptual sketches into finished, fully-realized characters; witness the development of CYBERTRON into the most detailed renderings of the planet that have ever existed; learn the behind-the-scenes secrets from the visionary artists at Activision and High Moon Studios! 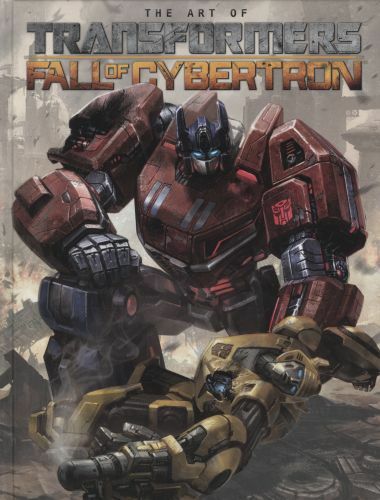 THE ART OF TRANSFORMERS: FALL OF CYBERTRON is a must-have for any fan of Transformers, gaming, or great art! Diesen Artikel haben wir am 28.11.2012 in unseren Katalog aufgenommen.